Fischer Easy Skin (feller) er lavet af en blanding af mohair og nylon og giver ubesværet fæste på dine Fischer ski som er forberedte til at kunne anvende Easy Skin. Fellerne er lette at påføre og tage af igen og sørger for et godt greb på Fischer fjeldski såsom Fischer E99 Easy Skin Xtralite Langrendsski. Skifellerne bør ikke dække eller gå ud over skiens stålkanter. God pris og hurtig leveranse. "Easy" is an understatement. 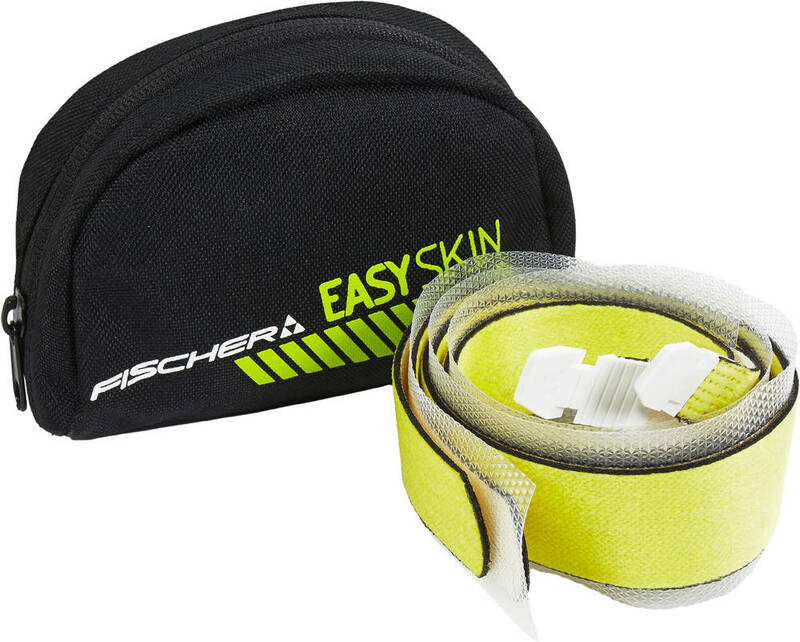 Having 20+ years experience using Nansen LM1 with kicker skin, I definitely have a basis for comparison of the Fischer Easyskin. . It glides uphill with the E109 much better than my old setup. Downhill, when conditions are dicey, I also use the skin. Even with the skin in place I can turn the skis and keep my speed under control and the edges can still bite into hardpack (ugh) because the skin doesn't cover the edges. These are still more or less new (1 month of 300 Km of skiing with about 200 Km of skin use) so I cannot yet comment on longevity but I do not detect noticeable wear yet. For our Wasatch spring touring I have been using skin-wax which seems to work fine with these skins. Excellent pairing with the E109. For anything other than flat or gently rolling terrain I would recommend adding the EasySkin. The uphill glide is better than the uphill glide of my old kickers. Bought for Fischer Excursion 88 Crown, grip is amazing going uphill, won't go downhill! I spoke to Fischer regarding ski base preparation as info was not clear. They said bases should not be dry/wax free as skins may stick too well. Base should have light glide wax or dried slip wax cream if on crown area. On waxed skis remove grip wax to avoid a mess (inconvenient on up/down tour). I treated my skins with Nikwax SkiSkin Proof first to avoid saturation & snow build up. I think skins will eventually wear out near the attachment area. The skins are exactly what I needed and are an excellent addition to my skiing equipment. Wonderful concept and design! Nice job Fischer! Funkar fint. Lite pilligt att få av dem från skidorna bara, men det kanske är en vanesak. Snabb leverans. I särklass bästa priset.